We're a leading secondary marketplace for rugby tickets. Prices are set by sellers and may be above or below face value. Find your seats, select the number of tickets, then click BUY to proceed. Whose tickets are listed below? All the tickets are listed and priced by approved ticket specialists. Each ticket specialist competes with one another to provide you the lowest prices & the largest selection on the internet. Event times are subject to change - so please check with the venue for start times and/or age restrictions. Your total includes local sales tax and a service fee. 20 Apr 2019 - EMMA-JANE G from United Kingdom purchased 2 rugby tickets for Italy v England. 20 Apr 2019 - Lee M from United Kingdom purchased 4 rugby tickets for Italy v England. 18 Apr 2019 - Edward T from United Kingdom purchased 3 rugby tickets for Wales v England. 18 Apr 2019 - IRENE G from United Kingdom purchased 2 rugby tickets for Italy v Scotland. 18 Apr 2019 - Mark C from United Kingdom purchased 2 rugby tickets for Italy v England. 14 Apr 2019 - Debra H from United Kingdom purchased 1 rugby tickets for Italy v England. Buy Argentina v Tonga tickets securely online for the exciting rugby at Hanazono Rugby Stadium in Higashiosaka. All rugby tickets for Argentina v Tonga are guaranteed and dispatched by our reliable partners Royal Mail and FedEx International. 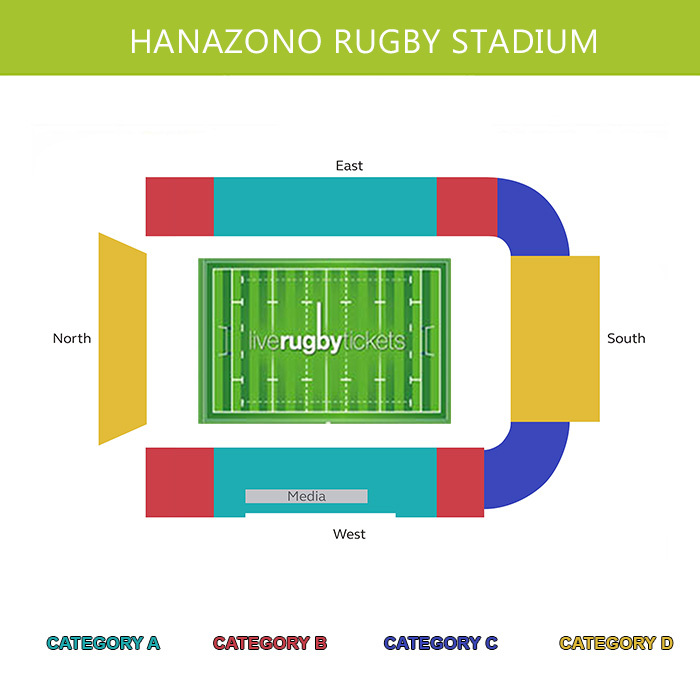 Order your Argentina v Tonga ticket now and be part of the live action at Hanazono Rugby Stadium! The Argentina v Tonga match will be played at Hanazono Rugby Stadium in Higashiosaka, Japan. Argentina v Tonga is bound to become an exciting game on Saturday, 28 September 2019 13:45. With our Argentina v Tonga ticket guarantee you can buy Argentina v Tonga tickets with confidence so you can experience the amazing atmosphere at Hanazono Rugby Stadium in Higashiosaka on Saturday, 28 September 2019 13:45. © 2004 - 2019 Live Rugby Tickets. All rights reserved.